I joke that I’m solar powered, but it isn’t a joke. You can safely guess my mood and energy level by looking outside. If it’s sunny, I’m good to go, cloudy, not so much. Cloudy for days, you might have to dig to find the hole I’m in. My mother in law has observed this, and kindly offered to help. She recommended using a full spectrum UV lamp, and offered to buy it for me. It’s been about a month since I got the lamp. I use it daily for about 30 minutes, which is the manufacturer recommendation. If possible I use it when my children are in the room as well, hoping they will receive benefits, though I don’t observe sun related mood swings in them. As a baseline, I tend toward melancholy. During a string of sunny days when I can get outside and exercise, the melancholy is mild. When days turn cloudy, I not only struggle with energy, but the tinge of melancholy blossoms into the blues. When the Michigan skies are battleship gray for days or weeks, I feel as though dementors are sucking out my soul. I struggle to juggle all of my tasks, and anything that requires both mental and physical energy will likely be back burnered. Since I have been using the full spectrum UV lamp daily, I have not had a dementor day, even during long overcast periods. Now granted, it’s not January in Michigan yet, when the seasonal darkness takes on an actual physical presence, but that said, even during the summer I have more than a few dementor days. I plan to revisit this topic periodically to update, but as of today, I’m tentatively optimistic that I can stave off the worst of my sun related mood swings with full spectrum lighting. 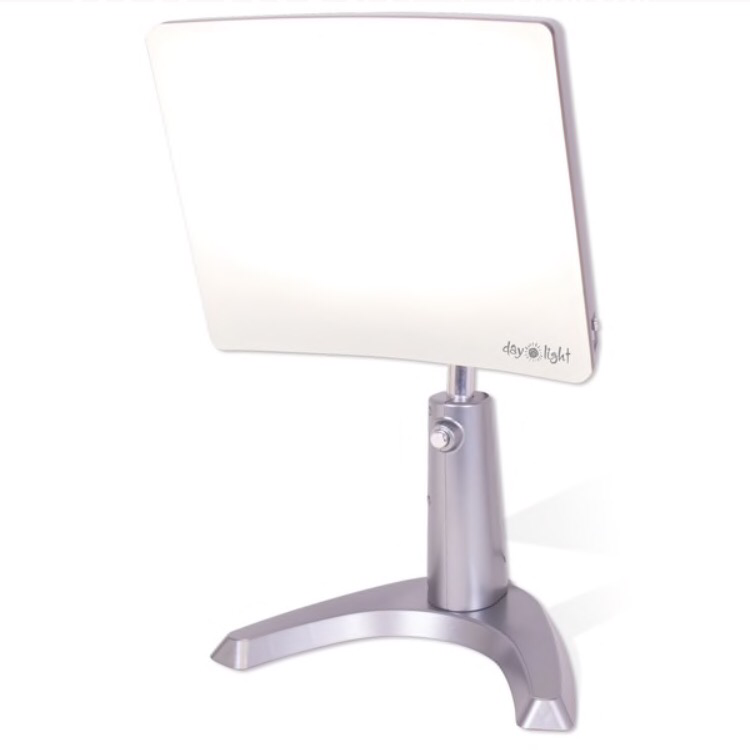 For the record the brand I’m using is the Carex Day-Light Classic Plus Bright Light Therapy Lamp.